Big price cut on last year's Fall release of SpellForce 3 in Steam Store's big Halloween sale. (This is technically part of the Midweek Madness but whatever). The popular RPG/RTS series continues doing what it does best, blending in RPG (heroes) with RTS (troops) and while it's a bit different from the first two installment, if you enjoyed titles like Warcraft 3 (yes that one), you'll find a lot to like in SpellForce 3. Note: Don't expect deep RTS mechanics and if you focus on the RPG aspect it is a decent title. The average price for this game in the past 6 months is $24.99. The game first became 50% off on Oct 30, 2018 at Steam Store. Lowest historic price was $24.99 on Oct 30, 2018 at Steam Store. The average price for this game in the past 6 months is $3.99. The game first became 50% off on Jul 15, 2014 at GamersGate. Lowest historic price was $3.20 on Jul 21, 2015 at Green Man Gaming. Today only the RPG / RTS hybrid SpellForce 2: Demons of the Past slashed to $4 at GamersGate. Lowest price seen in 2016. Fan of RPG and RTS games? The SpellForce 2 series finale comes in yesterdays released SpellForce 2: Demons of the Past. The game is listed for $19.99 but everywhere discounts it to $17.99. 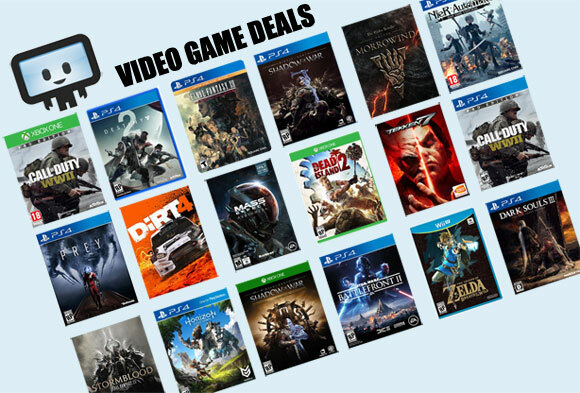 On top of that discount is GameFly's 25% off coupon getting the price down to $13.49 - or an extra $4.50 less. The average price for this game in the past 6 months is $1.99. The game first became 50% off on Nov 10, 2012 at Green Man Gaming. Lowest historic price was $0.80 on Dec 12, 2014 at Green Man Gaming. SpellForce Platinum Edition only two bucks this week at GameFly after a 75% off instant savings discount + stacking 20% off coupon code. Ties the all time low we saw back in March. The Platinum Edition includes three SpellForce titles: The Order of Dawn, Shadow of the Phoenix, and Breath of Winter. The average price for this game since released is $8.01. The game first became 50% off on Dec 28, 2012 at Green Man Gaming. Lowest historic price was $2.40 on Jul 21, 2015 at Green Man Gaming. The average price for this game since released is $17.67. The game first became 50% off on Apr 2, 2013 at Green Man Gaming. Lowest historic price was $4 on Dec 12, 2014 at Green Man Gaming. Twenty four hour sale on DRM-Free Spellforce games in this Spellforce Bundle at GOG. A decent 80% off the $50 list price for buying each game separately at full price. Includes Spellforce Platinum, Spellforce 2: Shadow Wars, Spellforce 2: Dragon Storm, and Spellforce 2: Demons of the Past. The average price for this game since released is $2.29. The game first became 50% off on Jul 21, 2014 at GameFly. Lowest historic price was $1.99 on Jan 29, 2016 at GOG.com. The average price for this game since released is $2.37. The game first became 50% off on Jul 21, 2014 at GameFly. Lowest historic price was $1.99 on Jan 29, 2016 at GOG.com. The average price for this game since released is $7.07. The game first became 50% off on Jul 21, 2014 at GameFly. Lowest historic price was $1.20 on Dec 12, 2014 at Green Man Gaming. If you're looking for an action RPG, GamersGate has a sale on Spellforce download titles. The base game and individual expansions are 75% off. Offer is good through tomorrow.